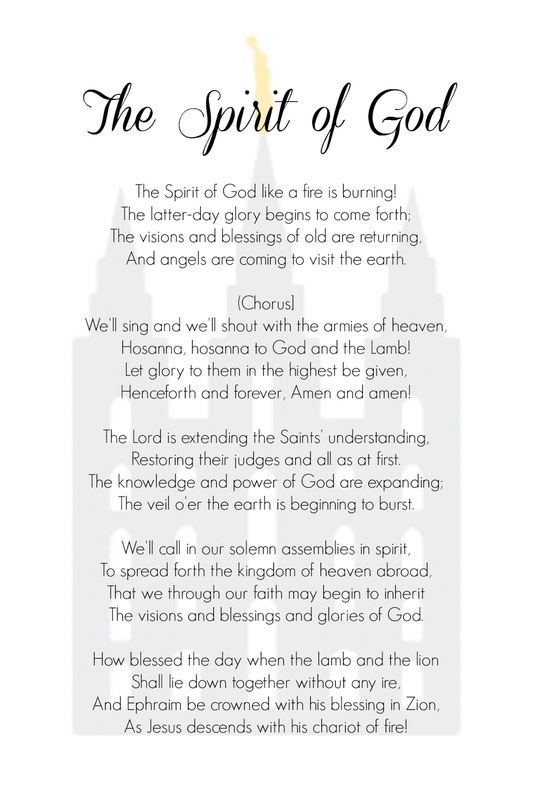 Here is a soft and simple printable for the amazing song " The Spirit of God". This is a hymn which is traditionally sung at some LDS meetings and firesides or conferences. It has come to be recognized as a hymn we sing at Temple Dedications. This would be great to print out and read with your kids before the Provo City Center Temple Dedication this weekend, Sunday, March 20th 2016. This printable has also been added to the popular Temple Dedication Activity Days Lesson featured in the right hand column of this blog. Click there to see the full post. Thanks again for stopping by. I'm just getting started here on Sunshine and Melody! So continue to drop in and check out what's new. Exciting plans on the horizon!